Do you decorate for Valentines Day? I do. After all of the pretty decorations from Christmas are put away, the house always feels so empty and sad. My remedy for that is pretty Valentine decor. 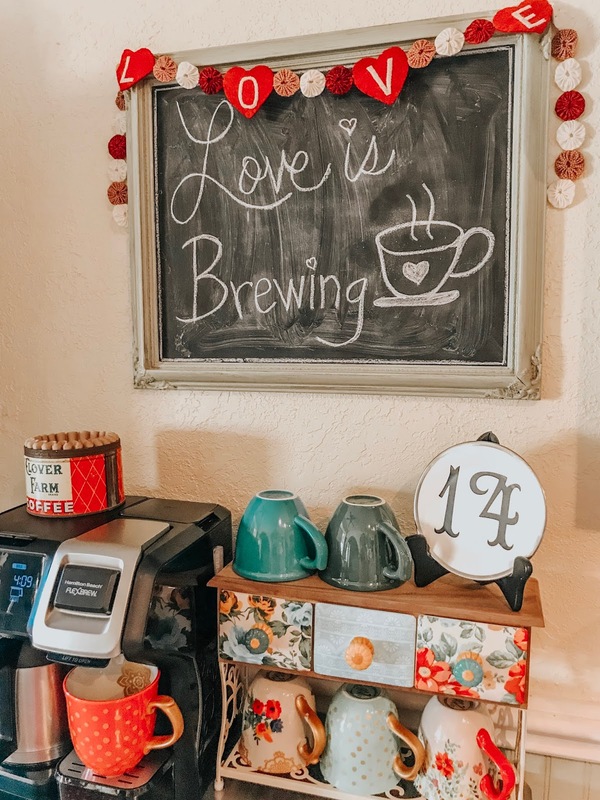 Why not spread a little love throughout your home? I normally just make small little vignettes here and there throughout our home just to make it feel festive. That yummy pillow cover is from Three Little Mommas. I have several of their pillow covers and more on the way! Pillow covers are an easy way to change up your decor. I actually used these red and white buffalo check covers for Christmas too. Most of my decor is either vintage goodies or my very own diy crafts. I just shop my decor closet and pull out things I like to sit together. You can see how I made that framed heart right here or the Cupid's arrow heart right here. I made the "14" plate using vinyl and my Cricut to cut out the numbers, then I just applied them to a vintage plate I already had. Side note: We found this couch on the FB Marketplace for $35! It was filthy when we got it, but it cleaned right up. I used this method to clean it. I normally just gather up what I have at home already, I don't buy new decor each year. 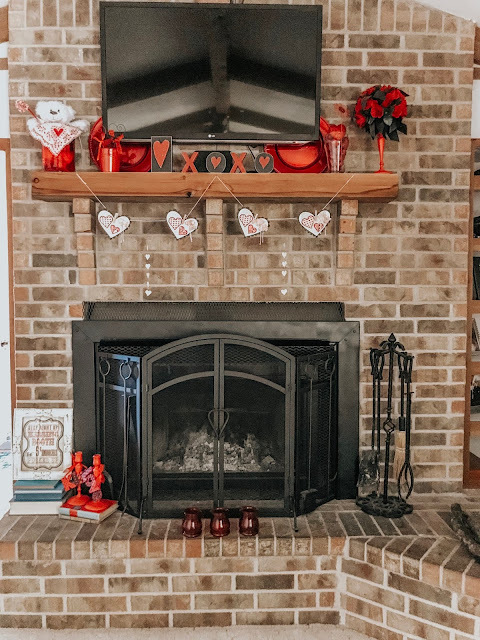 I make a lot of my own decor, like that heart banner over the fireplace, you can see it here. This is our entry hall that I normally keep pretty simple. The quilt rack gets a quilt to match the season and then I just add a few holiday items to the top shelf. The other little farmhouse table on the opposite side is normally holding a bit of of my vintage collection. This is my vintage mailbox accent wall that I love to change out. You can read about it here. There are some cute mailboxes on Etsy, look at this one! And of course, my old Hoosier cabinet. Even though she's orange and green, I still like to add some Valentine decor to her. I purchased my LOVE garland on Etsy, but I also have my eye on this one too! I made both of these candy holders last year. You can read about how to make them here and here. A fun thing I like to do for each season or occasion is to create a place setting. I just shop my decor stash and see what I can come up with. One thing for sure, my Pioneer Woman plates are always included. I also like to add vintage goodies too, like this plate and old hankie. The gold charger and heart shaped place mat is from Dollar Tree, $1 yall! Cute and affordable! Our coffee station is another spot I like to doll of up too. Again, my Pioneer Woman collection is a staple piece always. This is the kitchen window. I always decorate here because I spend lots of time in this spot and I like something pretty to look at. See how I made that branch garland here. More of my Pinoneer Woman collection here. That red cow creamer is my favorite and the little red pitcher is my newest addition. I do decorate a tiny bit in our room too. Since the winter bedding is red, it fits really nicely. The sign over the bed is one I made for Christmas, see it here. Keep scrolling to see the new sign that I made for everyday. This little basket under my bedside table usually gets a bunch of flowers that match the season we're in, its another easy way to be festive without a huge expense. $1 stems from the Dollar Tree is my go to for floral buys. This sweet XOXO pillow cover cam from Three Little Mommas too and I think it just may be my favorite of all so far. Here it is. The new sign I made. "Always kiss me goodnight." I purchased the stencil from Chelon over at her Etsy shop right here. She's the best to work with. If you loved my farmhouse decor and want to save it for later, be sure to pin it to your favorite Pinterest board. I have a Pinterest board all set up just for my Farmhouse Decor Ideas and I'm pinning something new every day. It's so cute. Your kitchen is darling. 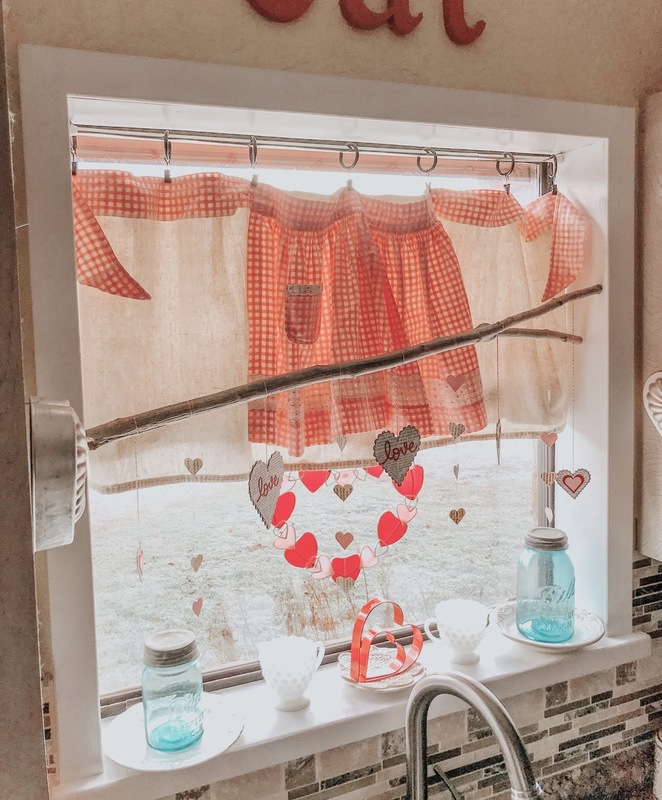 Your Valentine's Day house tour is so charming. Super cute ideas! You are very creative and I love your style! Hi Julie! Thank you so much! I will be there! 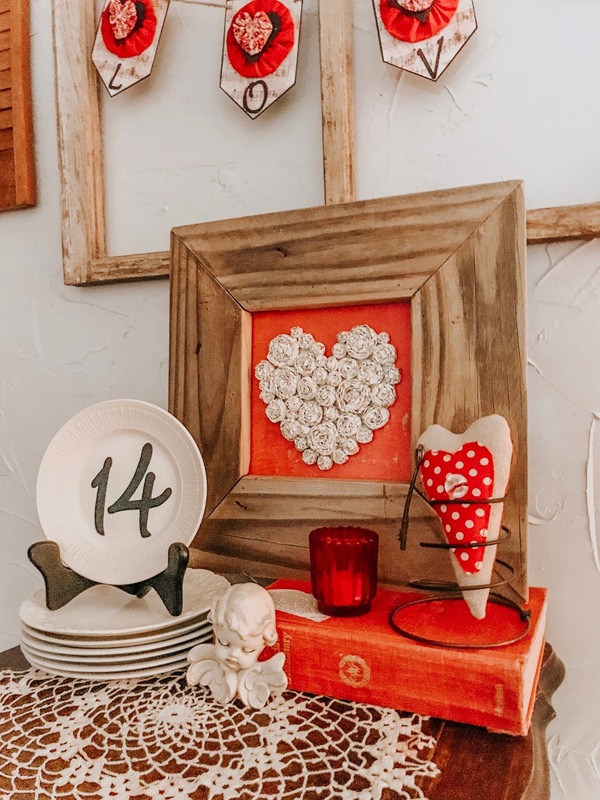 Your Valentine Day decor is adorable and gorgeous! Every room looks beautiful! I love that you use vintage with newer decor! You have created a great look! 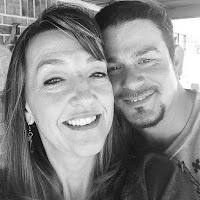 Thabk you for sharing at Celebrate It!